According to the 2017 Direct Retail Banking Satisfactions study, Discover is the second of the nine participating U.S. direct banks, scoring 869 points out of 1,000, being one in three banks topping the industry average for overall satisfaction. Both existing American Express customers and new applicants will enjoy new benefits of being a Platinum Card holder, after Amex debuted a new card design, as well as a slew of new perks and services that come along with being a cardmember. It seems that people are always looking for an easier and more convenient way to pay for their purchases. Still, it’s taken some time for folks to get comfortable using their phones at the register, through one of the many mobile wallet apps available. Finally, there are signs that the tide is turning and people are becoming more used to mobile wallet technology. More and more people are finding out something that used to be difficult to find out—at least for free. Credit scores used to be top-secret and hard to get your hands on, unless you paid for them. You can get your free annual credit report from all three bureaus, sure, but f you want to know your credit score, it won’t be on there anywhere. Imagine carrying just one credit card with you and earning rewards that you can trade in for free vacations. WorldVentures DreamTrips is teaming up with Nxt-ID to do just that. Good news for U.S. Bank customers: the company has a new online tool to help consumers make savvier choices about personal finances. Discover is going to allow their cardholders to make contactless payments at participating merchants through Apple Pay beginning this fall. Capital One and Uber have joined to give the Capital One cardholders new ways to save. 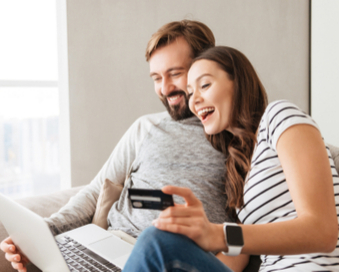 Many Americans know and understand the importance of having good credit score, and in many cases, they’ve learned it from their own experience. Barclays and Apple introduced a new co-branded credit card – the Barclaycard Apple Rewards Visa credit card. This new card comes with a revised rewards system, financing deals, and with EMV chip-and-pin security.